In the early/mid 1960s London was a magnet drawing the young and hip in from the regions, shaking off the austerity of the post war 1950s and riding the peak of British wealth. As the decade drew to a close some of those incomers and their London friends left the city heading back out into the shires, and the quieter, slower life of village and market town. 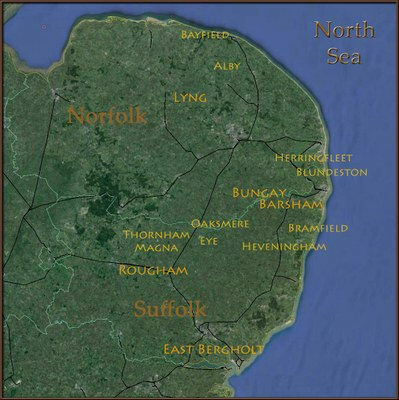 In 1976 the first Bungay May Horse Fair was also held, the revival of an earlier tradition which had died out in the 1950s. In 1977 the second Bungay May Horse Fair was held and an ad hoc group participated in the traditional Eye Show. 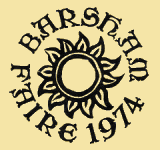 The following winter some of the Barsham crew and friends set up Albion Fairs, an attempt to take the fairs to the rest of the country, though financial limitations kept them mainly within East Anglia. and the new 2019 Fairs Archive Calendar.